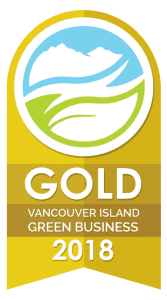 2018 marks our fifth year working alongside the Vancouver Island Green Business Certification (VIGBC) to better our green business practises. This year, The Condo Group has been awarded the Gold ranking by the VIGBC. 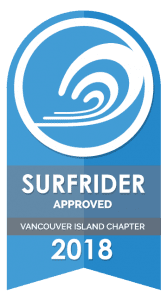 Our “Surfrider” level certification is something that we are very proud of, and a standard that we strive to uphold every day. As a group of environmentally conscious people, our in-office team focuses on being green, reducing our impact on the environment, and lowering our carbon footprint. We care about our planet, and want to make sure that we treat it right! The Condo Group office composts and recycles about 90% percent of our waste. We purchase post-consumer recycled products wherever possible, and use energy-efficient electronics. This year, we are taking steps towards becoming a paper-free office by transitioning to electronic checklists and files! We want to say thanks to the Vancouver Island Green Business Certification team for continuing to support the efforts of local businesses going green. The work you do with Synergy Sustainability Institute (SSI) as a non-profit is so important, and we are proud to have reached the level of Surfrider once again. If you are interested in taking steps to make your home or office more environmentally-friendly and sustainable, be sure to look at the Resources page on the VIGBC website, check out ReFUSE, and visit Victoria’s first “zero waste” store, West Coast Refill! What are some of your favourite tips and tricks for lowering your environmental impact? Do you have any recommendations for local businesses that are particularly “green”? We noticed that Whole Foods Market , Be Love , The Village and Big Wheel Burgers are all on the VIGBC’s list of local Green businesses, and we are happy to say they are all establishments that we frequent quite regularly! Congratulations to all of the businesses on the VIGBC’s list this year!